Germany's Rhine region will be electrified when Cologne host old rivals Gladbach on Saturday. What is a derby? Asking Google yields several distinct answers. A city in England. A horse race. A Bowler-style felt hat. A type of boot. A style of cheese made in Derbyshire. Teams: Cologne and Borussia Mönchengladbach. Born: January 1, 1962 - Cologne won 4-1. Bundesliga meetings: 85. 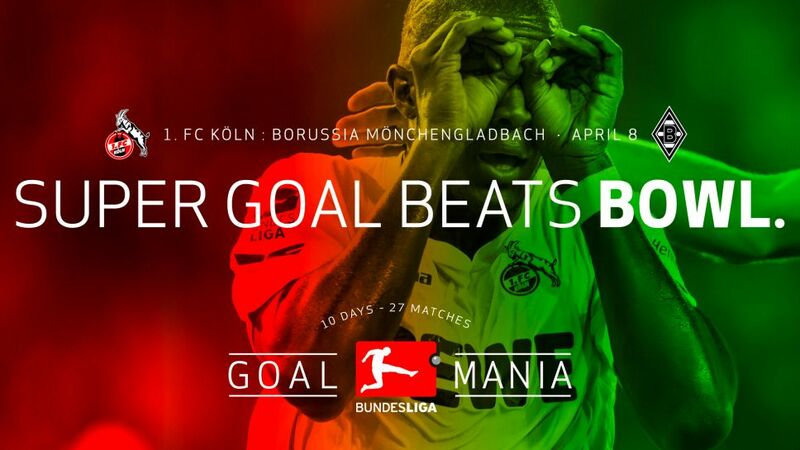 Gladbach leads the series with 52 wins, 27 losses and 20 draws. Distance between clubs: 57 kilometres. This rivalry took a little while to get going but, once lit, it has since burned as hot as any in Germany. While Cologne were cruising to the inaugural Bundesliga title, one of the club’s favorite sons, Hennes Weisweiler, took charge of second-division Gladbach. The former Cologne player and coach, for whom their famous goat mascot Hennes VIII is named, guided his new club into the Bundesliga, where they experienced great success and built the foundation of what grew into one of Germany’s premier clubs. Meanwhile, the Billy Goats stagnated and failed to live up to the expectation of dominating the region as the big-city club. By the time player-coach Günter Netzer scored the game-winning goal for Gladbach against Cologne in the 1973 DFB Cup final, the animus between the two sets of fans had become a permanent fixture of any meeting between them. Teams: Hamburg and Werder Bremen. Born: March 13, 1927 - a 4-1 win for Hamburg. Bundesliga meetings: 105. Werder leads the series with 37 wins, 34 losses and 34 draws. Since their first meeting in a preliminary round of the North German championship, these teams have played 143 competitive matches. The pinnacle of the rivalry came in 2009 when they met four times in 18 days. Two of the four matches came in European competition at the semi-final stage of the last-ever edition of the UEFA Cup. After losing 1-0 at home in the first leg, Werder won 3-2 in Hamburg to advance to the final on away goals. Watch: Highlights of the most recent meeting of the sides - a 2-2 draw in November. Teams: Borussia Dortmund and Schalke. Born: May 3, 1925 - a 4-2 win for Schalke. Bundesliga meetings: 89. Dortmund leads with 32 wins, 30 losses and 27 draws. The 150th competitive meeting between these two North Rhine-Westphalian giants takes place on Saturday. There is plenty at stake beyond local bragging rights as both have eyes on either solidifying or getting into one of the European places. The rivalry was forged through the working-class spirit of the coal-mining and steel-forging workers of the Ruhr region. Born: October 16, 1965 - a 2-0 win for BVB in Munich. Bundesliga meetings: 95. Bayern lead with 42 wins to Borussia's 24 (29 draws). This is no neighbourhood turf war - nor is it even a battle for regional pride. It is unconventional to class this as a true “derby” given that Munich and Dortmund lie nearly 600 kilometres apart. The fan bases, though, are not shy about making plain their feelings for one another as this rivalry was born out of pure competition between the clubs to be the best. The biggest moment in the history of this relatively young rivalry took place in neither the Allianz Arena nor Signal Iduna Park. In 2013, the two teams met at London's Wembley Stadium in the 2013 UEFA Champions League final. Bayern won a memorable match 2-1 on the way to completing a historic treble under Jupp Heynckes. Watch: Highlights of Dortmund's 1-0 win over Bayern over this season.